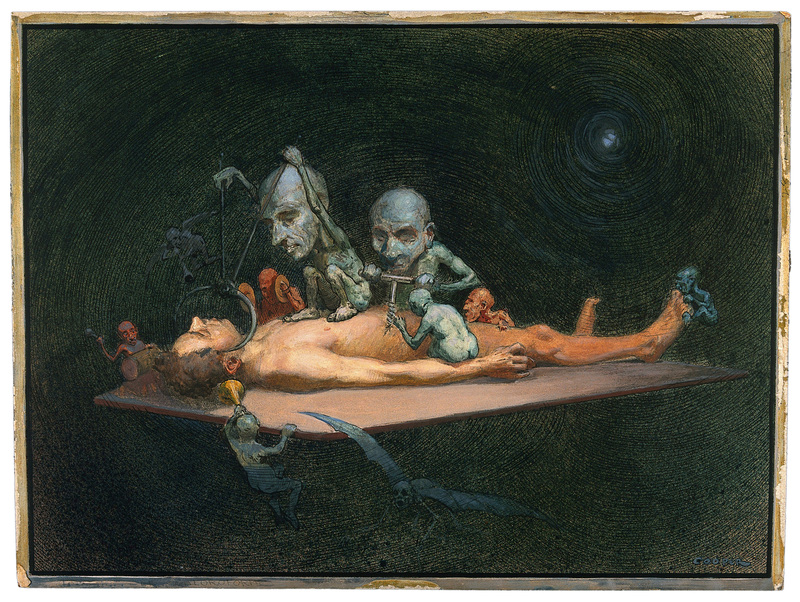 Richard Tennant Cooper: An unconscious naked man lying on a table being attacked by little demons armed with surgical instruments; symbolising the effect of chloroform on the human body (1912); from a series of medically-themed paintings commissioned in 1912 by Henry Wellcome. See the full set here. This entry was posted in Uncategorized and tagged Art, Demons, Medicine, Painting, Richard Tennant Cooper, USA. Bookmark the permalink.